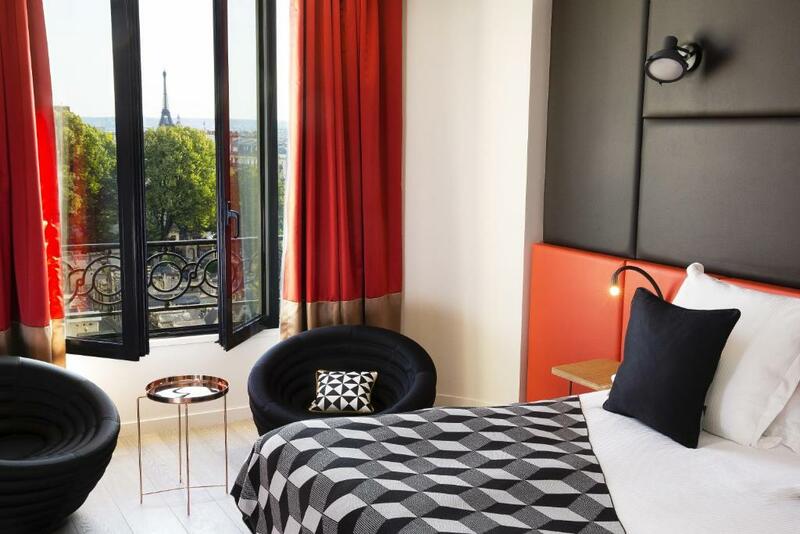 Lock in a great price for Terrass'' Hôtel Montmartre by MH – rated 8.9 by recent guests! Room with a view of the Eiffel Tower , Nice location ,caring accommodating staff . I loved my balcony and would recommend upgrading just for the view. The room came with all the bells and whistles: comfy house slippers, comfy reading chairs by the window, great tea, l'occtaine bathroom supplies, champagne in the fridge. Loved my stay. And used the library downstairs for reading one evening. Loved the unique and inspiring selection- read about Paris fashion designers and the French Rivera. The breakfast. A different type of pastry was baked fresh each morning. The rooftop bar was AMAZING with beautiful views over the city and a good drink menu. The location was great as well, with the ability to walk to many areas of the neighborhood. The staff, the views from the room and the hotel were all amazing! I expected little, but was extremely surprised by just how great this niche hotel was for our stay in Paris. Beautiful, clean hotel with a great staff and as well an incredible view from their rooftop bar! Great location, easy walk to several Metro stations, great restaurants, cafes, etc in walking distance. Room was small, but very comfortable and modern. 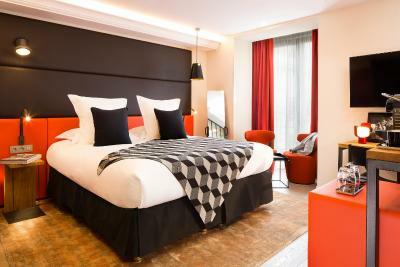 The hotel is in a very good location, it’s perfect for first timers to paris . The staff are prompt at answering requests . The location (Montmartre) is beautiful with loads of local restaurants around and people are friendly! Loved my paris trip!!! 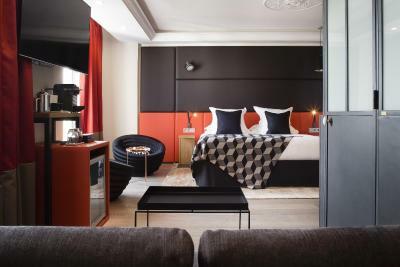 Le Terrass” Hôtel is in a 19th-century building in the heart of the Montmartre district. 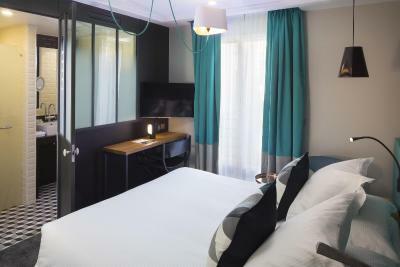 Just a 15-minute walk from the Sacré-Coeur Basilica, the 4-star hotel offers elegantly decorated rooms with air conditioning. 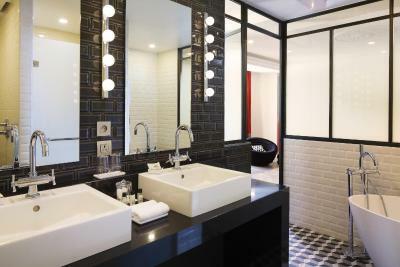 Serviced by 3 elevators, all rooms provide a flat-screen satellite TV, free WiFi access, a minibar and a private bathroom. Guests can admire the Eiffel Tower while having breakfast on the rooftop terrace at Le Terrass” Restaurant Bar. 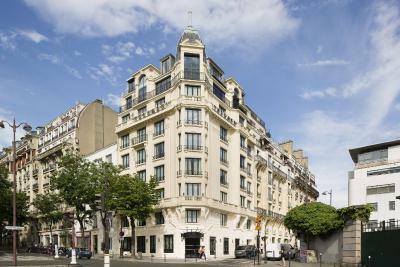 Its panoramic terrace features large bay windows and offers clear views of Paris. A 24-hour front desk with concierge service is available, as well as free internet facilities. 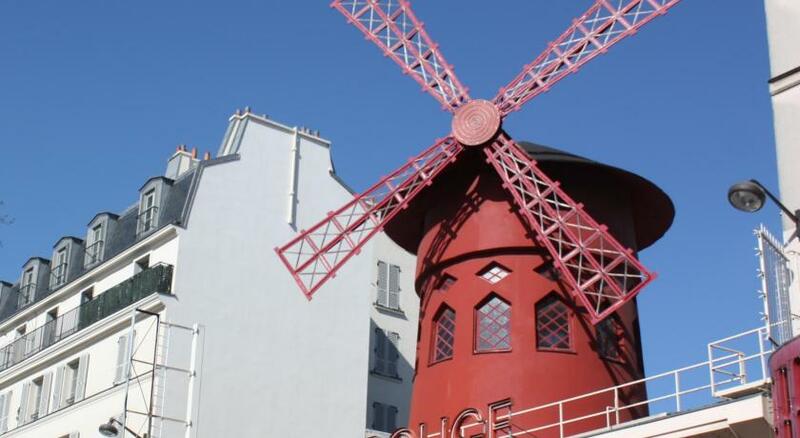 Guests can explore the picturesque Montmartre district or go to the Moulin Rouge, which is .25 miles away. 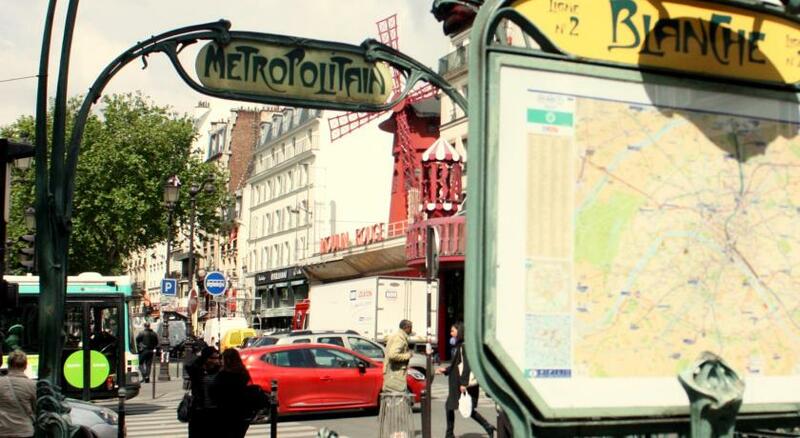 Metro Blanche (line 2) is .3 miles from the hotel and has direct services to the Arc de Triomphe. The Grands Magasins department stores and Opéra are a 20-minute walk away. 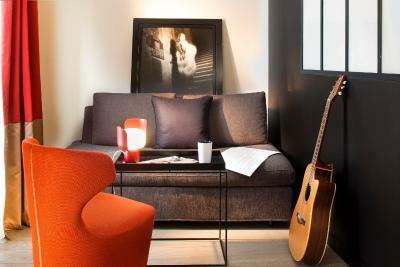 When would you like to stay at Terrass'' Hôtel Montmartre by MH? 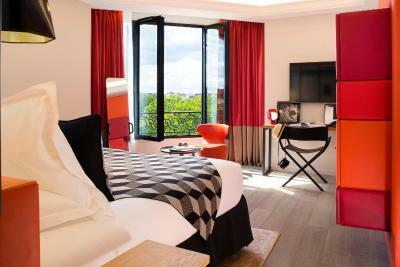 Featuring views of the Eiffel Tower, this air-conditioned room offers a Nespresso coffee machine, a mini-bar and a flat-screen TV. The bathroom is complete with free toiletries, a hairdryer and a bath or shower. Slippers and a bathrobe are also provided. Free WiFi and facilities for making coffee and tea are provided in this nonsmoking studio. Guests have free access to the spa and the fitness room. 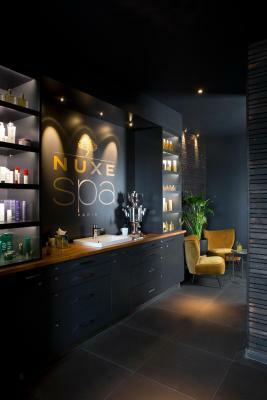 The spa can be privatized 30 minutes per stay upon request. When staying by two only, a baby cot can be provided for 1 children under 2 years old. Featuring street views, this air-conditioned suite offers a Nespresso coffee machine, a mini-bar and a seating area with a flat-screen TV. The bathroom is fitted with a hairdryer, free toiletries and bathrobes. This suite is suitable for guests with reduced mobility. 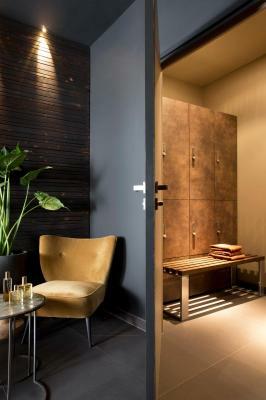 The spa can be privatized 30 minutes per stay upon request. Featuring courtyard or street views, this larger room offers air conditioning, a flat-screen TV and facilities for making coffee and tea. 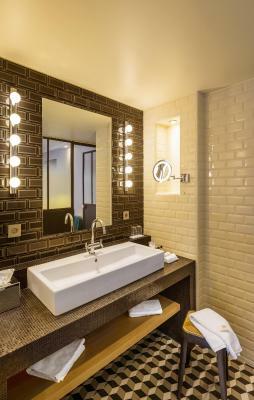 Free WiFi is provided and the private bathroom is fitted with free toiletries, a hairdryer and a bath or walk-in shower. Guests have free access to the fitness room. 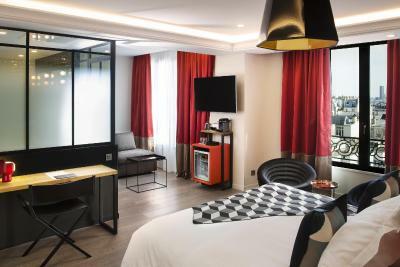 Featuring views of the Eiffel Tower, this air-conditioned room is nonsmoking and offers a Nespresso machine, a mini-bar and a seating area with a flat-screen TV. 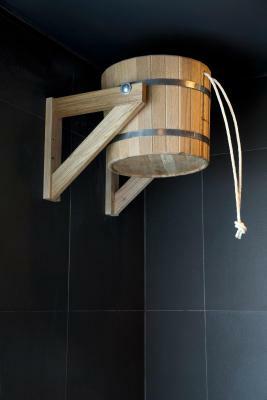 The bathroom is fitted with a hairdryer, free toiletries and a bath or shower. 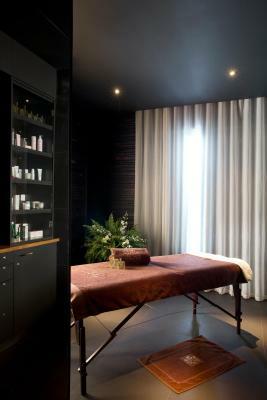 Guests can enjoy free access to the spa and the fitness room. 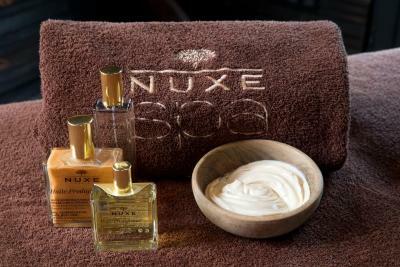 The spa can be privatized 30 minutes per stay upon request. Featuring courtyard or street views, this air-conditioned room offers a mini-bar, a telephone and a flat-screen TV. 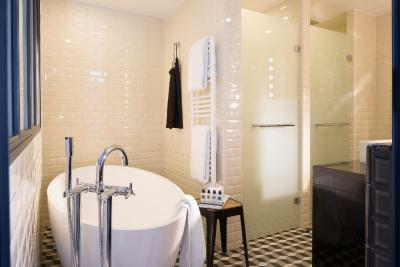 The bathroom is complete with a regular or walk-in shower, free toiletries and hairdryer. Guests can enjoy free access to a fitness room. 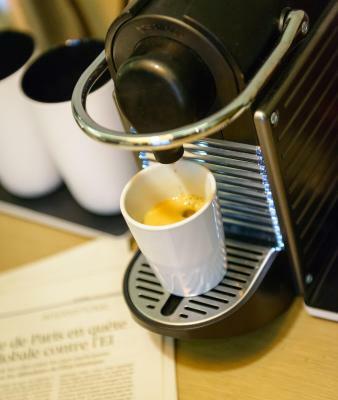 This air-conditioned room offers a Nespresso coffee machine, a mini-bar and a flat-screen TV. 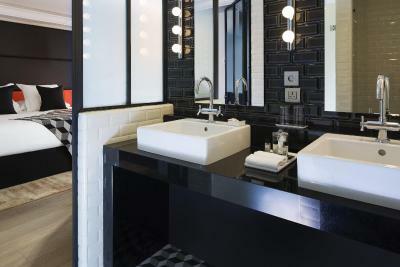 The bathroom is complete with free toiletries, a hairdryer and a bath or shower. Slippers and a bathrobe are also provided. 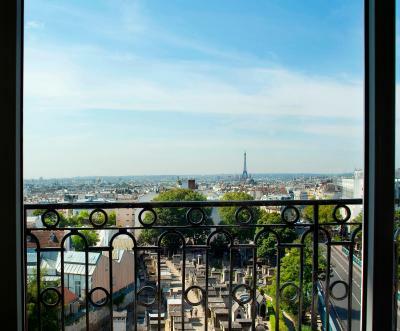 Located on the top floor, the Penthouse Terrass '' (157 ft²) has a breathtaking view of Paris. You’ll find all the amenities needed for a romantic getaway, a honeymoon or to have an unforgettable experience: a private balcony with the most beautiful panoramic view of Paris and the Eiffel Tower, air conditioning, desk, courtesy tray with a Nespresso machine, mini-bar, phone, safe, flat screen TV, lounge area and turndown service. Special welcome gift will be waiting for you in the room. 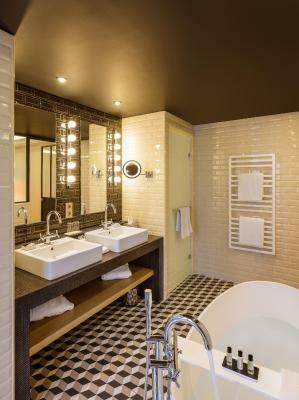 A splendid bathroom with the view on Paris, a private spa with bubbling bath and sauna, a spacious shower, 2 wide basin, free toiletries, hairdryer , bathrobes and slippers. The room is nonsmoking. Free Wi-Fi to work or stay in touch with friends and family. 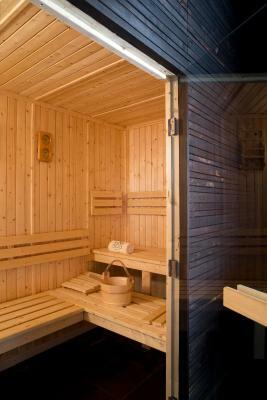 Free access to the SPA and sport cabins included. 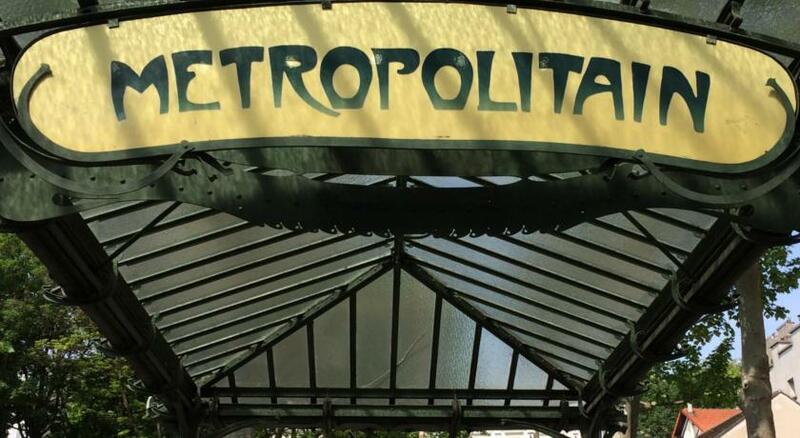 At the gates of Montmartre (18th arrondissement) the Terras'' Hotel has been built into a stunning 19th century building. 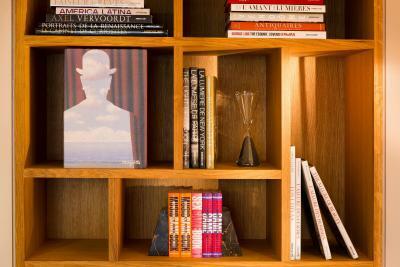 This 4-star hotel has been popular with artists since 1911. With its 92 rooms, each highly original, you will discover a world apart. 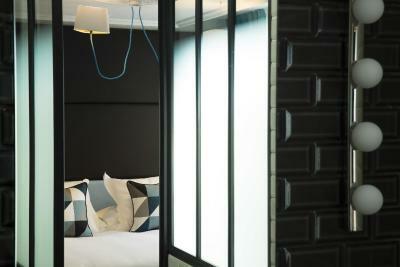 The bedrooms of the Terrass'' Hotel have been redesigned as "loges". In addition, some rooms have the most desirable view in Paris, overlooking the Eiffel Tower! As well as being air-conditioned, they are all equipped with flat-screen satellite TVs, free Wi-fi, a minibar and an en-suite bathroom. 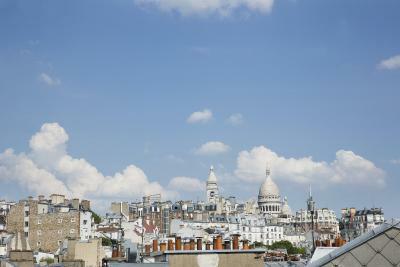 Ideally located on the 7th floor, the restaurant provides an uninterrupted, panoramic view of Paris – one not to be missed! The Terrass' Hotel Restaurant is a gastronomic bistro. The must-see restaurant terrace, also accessible, benefits from a magnificent landscape as well. 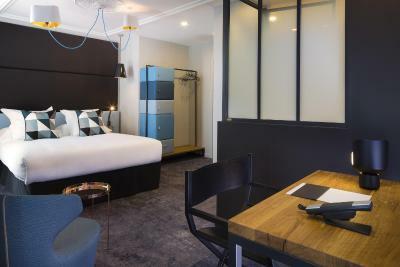 To boot, the hotel contains reading rooms, a playzone with its own billiards table and arcade games, a Harcourt studio photo cabin, a library and two exercise rooms, which are all also available to guests. 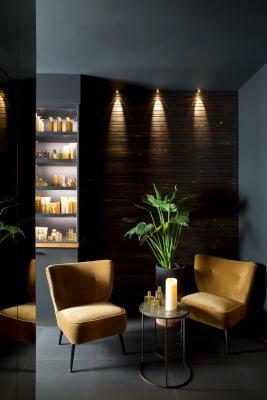 The hotel will also soon be getting its own spa, where you will be able to relax in the sauna or unwind with a massage. 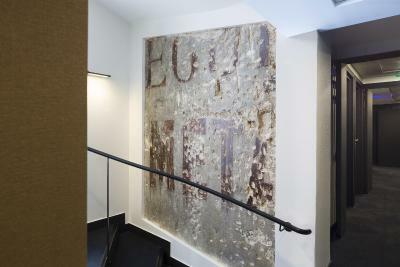 House Rules Terrass'' Hôtel Montmartre by MH takes special requests – add in the next step! 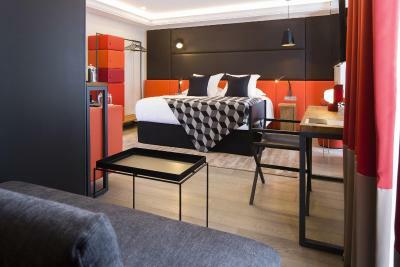 Terrass&#39;&#39; Hôtel Montmartre by MH accepts these cards and reserves the right to temporarily hold an amount prior to arrival. Terrass'' Hôtel Montmartre by MH accepts these cards and reserves the right to temporarily hold an amount prior to arrival. The Breakfast was excellent,the staff so friendly and helpfull. The receptionists were most kind and helpfull and so smiling! We felt so welcome . The hotell is beautiful and the view astonishing. The bed good and the bathroom large and nice!! My room key card stopped working several times which was annoying. 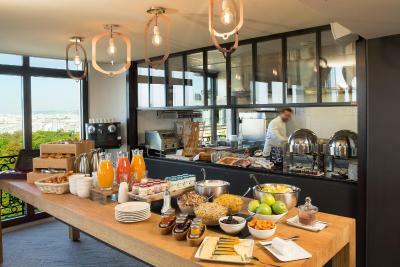 Great staff, location, breakfast and loved the roof terrace. Nice setting, lovely design, good breakfast. Great location, trendy boutique style, fabulous views! The walls were a little thin, you could hear the room upstairs walking around. A little annoying but not terrible! Beautiful property, excellent location and the staff were very friendly and attentive. The roof terrace restaurant was amazing with a beautiful view of Paris! Friendly staff, amazing restaurant, good location. Love this hotel, always stay there and the roof top bar is so special. The shower was very small and the room was too small as well.